Raymond Bunk '06 is always moving. He’s a police officer, a role that includes serving as union president, riot-team member and, at one time, public information officer. He’s an Air Force reservist, the culmination of military service that landed him in the Pacific Northwest after growing up in the Chicago area. And he’s a former firefighter and politician who served several years as an East Pierce Fire & Rescue commissioner. Still, Bunk — who earned his Master of Business Administration at Pacific Lutheran University while working full time in law enforcement — rarely knows for certain what comes next. So, while he wasn’t necessarily planning to launch a microdistillery with his buddies-turned-business partners, he was prepared for a whole lot of fun. Serving that extended family has been a labor of love. Bunk says he spent a lot of time poring over research on the distilling process: learning about the different methods and techniques for concocting the best booze, and learning to appreciate the nuances that vary from spirit to spirit. A key ingredient in Nightside products: the best water around, Bunk says. “The city doesn’t add anything to its water,” he said, adding that Edgewood has earned awards for having the best-tasting water in Washington state. Bunk’s commitment to those key details and his unwavering enthusiasm are palpable. He drafted the business plan for Nightside, and learned the skills necessary for success in the MBA program at PLU. 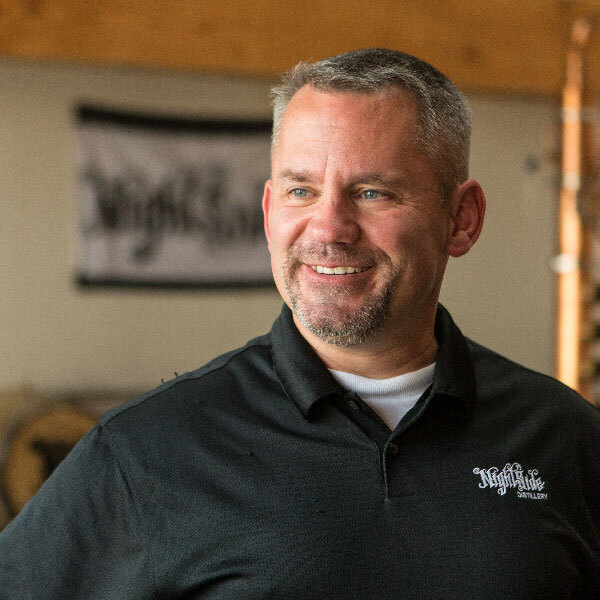 In addition to serving as one of the company’s primary distillers, he handles marketing duties and communication between partners. He acknowledged that streamlining the latter was a challenge in the beginning. At one point, he says, communication broke down and operations suffered. Bunk remembered his PLU mentor, former professor and corporate executive Carol Ptak, stressed the importance of communication. So, he urged the partners to meet monthly, a move that centered the group. “It teaches people focus,” Bunk said of PLU’s MBA. Bunk knew he wanted to earn a graduate degree, and he was fortunate to have enough seniority and flexibility at his police job to juggle both. Several days a week, he would end his shift and head to PLU’s campus for classes. The most valuable parts of the program for Bunk were networking and analyzing business profiles, to see what works and what doesn’t. “If a business has already tried something and failed, why would you try to do it again?” he said. Bunk ran with that approach after launching Nightside. He said many distillers are open to talking about their processes, and he’s been able to troubleshoot problems through outreach. That spirit follows Bunk around the globe, too. He travels the world with his wife, tasting traditional drinks along the way. Photographs of their trips — from floating the Amazon River in Peru to taking in history in Northern Ireland — line the walls of the distillery. 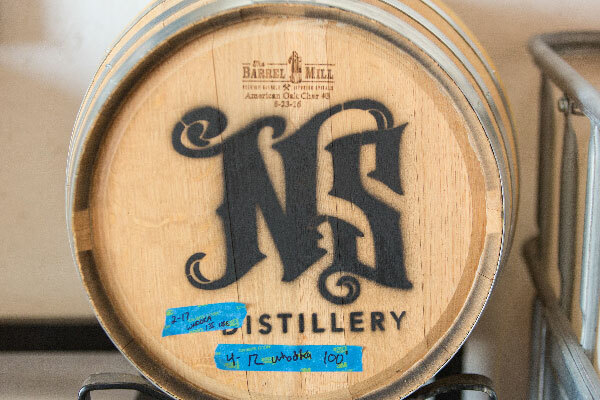 Everywhere he goes, Bunk says he sees slight variations of similar spirits; just don’t tell the locals. “Every country’s got the ‘strongest’ stuff,” he quipped. It took some time before Bunk and company graduated to Middle Eastern liquor. He said they started with “the clears,” such as vodka, and eventually introduced flavors such as Apple Pie and Lemon Drop. 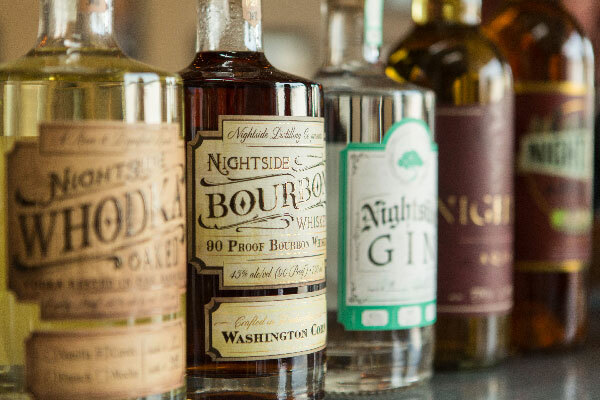 Now, Nightside has 10 products on the market, including its take on aquavit, a Scandinavian liquor with an herbaceous flavor. 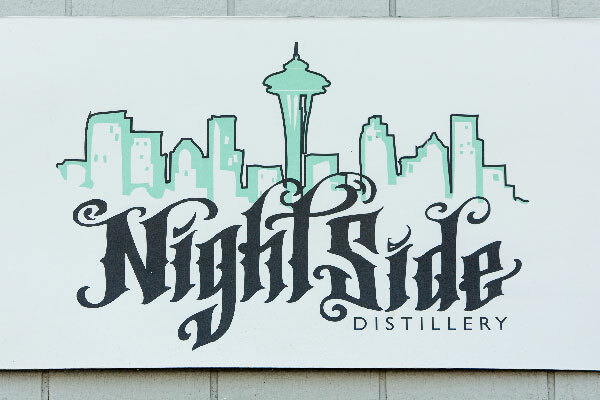 Bunk says Nightside is one of only three distilleries statewide producing it. “The Sons of Norway came in and gave me the thumbs up,” he said, chuckling. Bunk says juggling full-time police work with graduate studies paid off. The diversity within the class, as well as the diversity of the instruction, helped him learn the ins and outs of budgeting, accounting, marketing, advertising, negotiation and more — everything necessary to build a successful business. “Without that education, I don’t think I’d be able to do this right now,” Bunk said. And whatever Nightside is doing, it’s working. Last year, Bunk said, sales increased 54 percent. The partners are working on a potential expansion, too. Still, the plans — true to Bunk’s philosophy — are more like guidelines than blueprints. Whatever the future holds — “come see me in 12 months” to know for sure, he says — Bunk and his partners will have the fixings for the perfect cocktail.